SKYSUITES 17 is located at 17 AH HOOD ROAD in district 12 (Novena, Thomson, Toa Payoh) of Singapore. 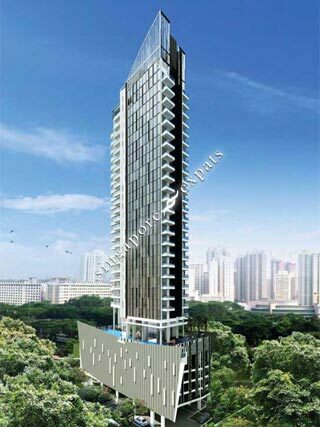 SKYSUITES 17 is a Freehold Condo development consisting of 105 units. SKYSUITES 17 is completed / TOP in 2014 (estimated), developed by EL DEVELOPMENT (BALESTIER) PTE LTD.
Educational institutions like GLOBAL INDIAN INTERNATIONAL SCHOOL, SAN YU ADVENTIST SCHOOL, ST JOSEPH INSTITUTIONAL INTERNATIONAL, BALESTIER HILL PRIMARY SCHOOL, BALESTIER HILL PRIMARY SCHOOL and KHENG CHENG SCHOOL are near to SKYSUITES 17. SKYSUITES 17 is accessible via nearby TOA PAYOH, NOVENA and CALDECOTT MRT Stations. Nice design, good layout and convenient. This site very user friendly & get response very quick. Balestier is a food haven with lotsa eateries and Skysuites 17 is 10min walk to Toa Payoh MRT. Skysuites 17 is right where the link bridge to Toa Payoh is.